Erin Neilsen is 34 years old and lives in Washington State, USA. Erin is happily married to his wife of 5 years. They have two children together. Amunet Sophia 4, and Indra Anastasia 2. Erin works for the United States Bureau of Reclamation where he teaches Safety and Occupational Health. Erin has twice been elected to the City Council of Grand Coulee Washington and is a current councilman. Masonic: Erin is a Past Master of his lodge, and a Past District Deputy of the Most Worshipful Grand Lodge of Free and Accepted Masons of Washington. Erin has been appointed appointed Sgt. 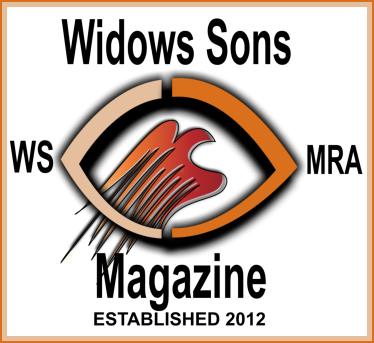 of Arms of a soon to be chartered Chapter of Widows Sons in Spokane Washington. Erin is currently a member of Widows Sons Gig Harbor Ritual Riders, a Member of the Scottish Rite of Freemasonry Southern Jurisdiction, and a member of the Scottish Rite Research Society. Erin is a recipient of the Grand Masters Achievement Award for Masonic education. and is also a member of the Rosicrucian Society. Erin rides a 2001 Harley Davidson FXDL. After a long day of safety its time to ride. the Starry Decked Ceiling of the Lodge. It is often said that Egyptian mythology and Freemasonry share many symbols. I would like to share a couple of those symbols with you. Every Mason remembers the day he “Entered” the Craft. Entered Apprentice Masons are presented with a great deal of information on their first entrance into a lodge. It is my personal belief that a man could spend his life researching the first 3 degrees of Masonry and it would not be life misspent. I have not found a word or symbol which does not have more than one interpretation, each relevant to masonic thought. More than likely, unless you study masonic symbolism, you probably don’t recall every symbol or word spoken or presented within the first degree. I want to revisit with you in this article just some of the many symbols Freemasonry shares with Egyptian Mythology and symbolism. I will begin first by explaining that Mythology does play a role in Masonry, as well as in Egyptian thought. Mythology is nothing more than stories with a message intended to be understood by listener of the Myth. Myth is not meant to be taken at face value and should never be presumed to be fact, but the moral teachings and answers to the life's basic questions should be contemplated. For the Egyptians their first Myths take place in primordial time, outside of what we know as calendar time, before the known chronology. Every Mason is familiar the following words. “In the beginning God created heaven and the earth. And the earth was without form, and void; and darkness was upon the face of the deep. And the Spirit of God moved upon the face of the waters”. Did you know that if you had an Ancient Egyptian, who was about to become a modern day Mason, he too would be familiar with that primordial beginning. “In the beginning was water”, this is where the Ancient Egyptian creation myth begins, and in the water were eight gods. These Gods were male and female. The first pair were representative of formlessness; the second of darkness; the third of hiddenness; and the fourth of the primordial waters. Together they represented Chaos. This sounds very similar to the Genesis story. What else would an Egyptian find familiar? Something he would certainly notice is starry sky above the lodge room. Even if your lodge does not have the night sky painted upon the ceiling, you may recall from your first lecture the starry sky. Why would he notice the sky and why would he relate to it? If we go back to our Egyptian creation myth, we learn that out of the primordial waters there arose a hill. Upon that hill a ninth god, Atum (a god who created himself) stood. This God begat more Gods: Shu (air), Tefnut (moisture) who together begat: Geb (earth) and Nut (sky). It is Nut (Nuit) that we will be discussing and which our Ancient Egyptian brother would most recognize if he were in a traditionally styled lodge room. Nut was pictured in Egyptian temples as a women arched on her toes and fingertips over the earth, her belly was the ceiling covered in stars or a star-filled sky. Nut’s Fingers and Toes were believed to touch the four cardinal points, or directions. The vaults of the tombs were often painted dark blue with many stars as a representation of Nut, much like the covering of a lodge, which is of course, no less than a starry-decked Heaven. Nut swallowed the sun each evening, this would travel through her until she gave birth to it again in the morning. This is a simple concept of death and rebirth. Nut (sky) and Geb (earth) give birth to two pairs of children, each of them sister and brother and wife and husband. The most recognizable of these being Isis and Osiris. Isis and Osiris were central to the Egyptian belief in the life after death. Osiris in a latter part of their story is the first Egyptian to resurrect. Why would our Ancient Egyptian brother recognize this? Well as we’ve learned, the Egyptians also used the starry sky to cover the ceiling of their Temples & Tombs. Just as we are instructed the same is true for the covering of a lodge. Where is this image of a women? Where are the hands? There must be something else then that our Egyptian friend must associate with the starry sky. Lets look at another similarity with the story of Nut and the instruction given to the candidate from the 1st degree lecture. A sacred symbol of Nut was the ladder, used by Osiris, her son, to enter her heavenly skies. A Mason uses his theological ladder with hopes to arrive at his starry decked Heaven. When one looks at a first degree lecture chart you find that the ladder and sky are almost always connected. This is familiar imagery and one that would not be lost on our Ancient brother. To the Egyptians, the ladder and sometime steps were symbols placed in tombs to protect the deceased, and invoke the aid of the deity of the dead, this deity was Osiris. They believed in the Goddess called Nut, who was the Goddess of the sky. Nut, the Goddess of the sky and all heavenly bodies, was a symbol of Resurrection, and Rebirth (remember the sun that was swallowed and reborn day after day); that is a symbol of resurrection or rebirth and has much more context when thought of as a component of the 3rd degree . Another symbol worth noting is the “Point within a circle”, The Rite of Circumambulation around the lodge is a physical representation of this very symbol. Masons are instructed that the point within the circle represents an individual Brother, the circle is the boundary line, beyond which he is never to suffer his passions, prejudices or interest to betray him. This symbol would also not go unnoticed by our Ancient brother, nor should it go unnoticed by us. The point within a circle is a ancient Egyptian Hieroglyphic which represents Ra (Hru), the name of the Egyptian Sun-god. This is a topic within itself and shall be left for another article. There are many explanations for the symbols found in Masonry. After all, every Mason is urged to apply the explanations of the symbols presented to him during the lecture(s). However, Masonry also teaches the mason to look at the individual symbols and continue his individual search for light. We indeed share a connection to our Ancient Brethren. One that would be recognizable to them today. It is my hope that this article has helped to inspire the reader to continue their search for more light in Masonry. Dr. Brier, The History of Ancient Egypt, The Great Courses, Chantilly VA, The Teaching Company 1999. J. E. Cirlot, A Dictionary of Symbols (2nd Edition), English Translation, Barnes and Noble Books 1995.